Summer is in sight and with a few nice days already behind us you might be thinking ahead to summer holidays, wardrobes and anything else that makes you sparkle. Anyone else had to crack out the sun cream already? It’s nice to sparkle a bit in the summer months and we have a few suggestions about where to get that added sparkle from. We all want to sparkle from the inside out right? If things are good on the inside, they are normally good on the outside too. 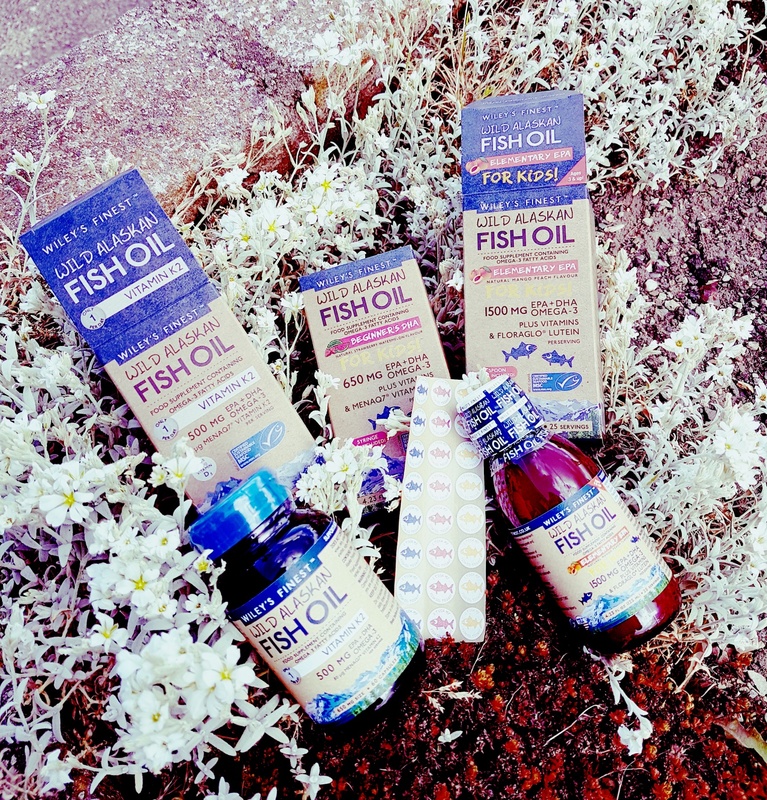 You could try adding Wiley’s Finest fish oils to your daily diet. You can do this for both the children and the adults in the family. Wiley’s Finest elementary EPA provides essential vitamins and nutrients often lacking in the diet. EPA and DHA Omega-3s along with vitamins and nutrients fuel your child’s healthy brain and support their eyes for optimal focus and function. Wiley’s Vitamin K2 in capsule form, supports bone and heart health and will keep your body working in tip top shape. Of course, adding lots of fruit and vegetables into your diet will also help. You can also include things like coconut oil and fresh smoothies and juices to get glowing skin – and of course don’t forget to drink tons of water. It’s lovely to add a bit of sparkle to your face, especially when the sun is shinning. There is a lovely collection of products from Sleek Make Up – called ‘Distorted Dreams’, which includes a gorgeous highlighting palette that comes with five shades and covers both powder and cream. This can be used to illuminate eyelids, cheeks, lips and brow and is priced at £10.99 – reasonable I think. I think the cream highlighters work better, but it really depends what you prefer and it’s good to have the option. Alongside this, for some extra sparkle you could go for one of the Sleek Matte Me Metallic Lip Creams. 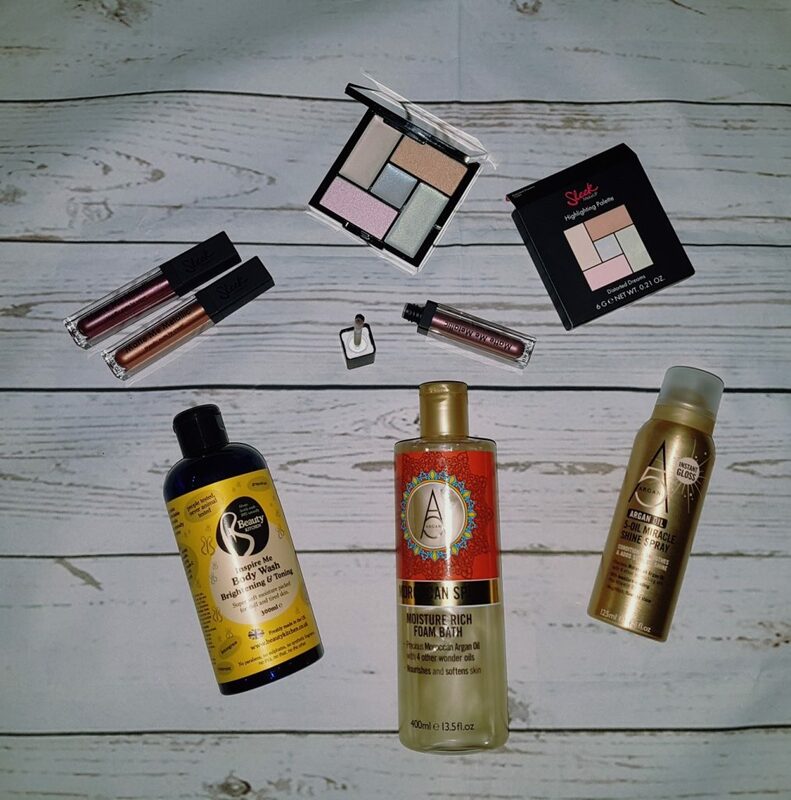 These are priced at £4.99 and you can find them in both Superdrug and Boots. At the moment there are three shades which give a foil-like finish to your lips. Perfect for adding a quick bit of sparkle. Pop one in your bag and use when you need a boost! Getting your body to sparkle as a mum can be hard work unless you are blessed with sensational genes. Indulging in a nice bubble bath or investing in a luxury body wash can at least make you feel a bit better. Beauty Kitchen’s Inspire Me Brightening & Toning Body Wash is super soft and moisture-packed for dull and tired skin. This is a really uplifting, rejuvenating, body wash, which is also said to be firming. It has anti-oxidant and vitamin c loaded grapefruit blends with lemongrass to help firm and brighten your skin. This is £7.99 from Holland & Barrett. If you want a luscious bubble bath with some added sparkle you could try Moroccan Spice Moisturising Foam Bath from Argan+, with warming notes of cardamom and patchouli. This will help you relax and you can watch the sparkle as you pour it under the tap. It contains ginger, cinnamon and all spice, meaning that your skin is left gently cleansed with it’s own renewed sparkle. Your skin feels super soft after bathing in this. Having some sparkle to your hair can make you feel brighter generally. If you have dull hair, treating your hair to a hair mask of coconut oil can be a massive help and restore some much needed life to your hair. If you don’t have time for a full on hair mask, and let’s face it, most of us mums don’t most of the time, you could try adding a bit of sparkle by using 5-Oil Miricle Shine Spray. This easy to use spray conditions, smooths and adds bucket loads of shine in a few seconds. I love this product and I’m starting to think it’s a real mummy must-have item.